Within the annual cultural program of Pharos University, Prof. Mofeed Shehab paid a visit to Pharos University through which he met with PUA faculty and students. This took place on Tuesday 4/4/2017. 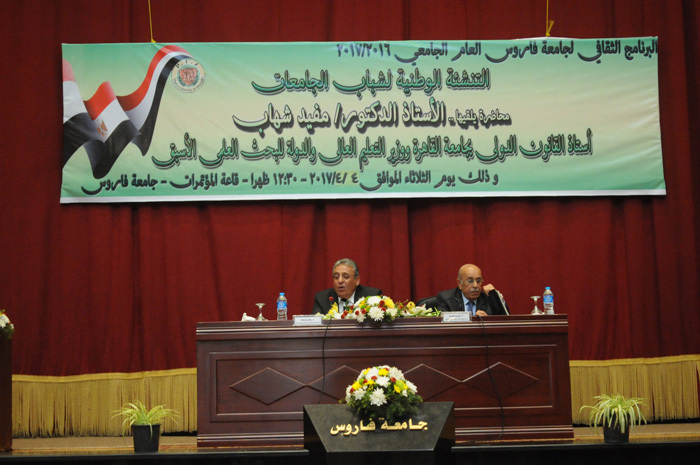 Prof. Mofeed Shehab is a professor of International Law and a former Minister of the Egyptian Ministry of Higher Education and Scientific Research. During his visit, Prof. Mofeed Shehab delivered a lecture on ” Citizenship Education” for the university students. He also shed the light upon the current political situation on the international, regional and local levels while he was answering the faculty and students’ enquiries. 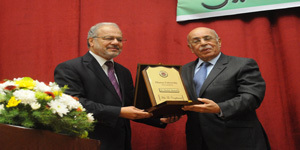 The lecture was delivered in the presence of Mr. Mohamed Ragab, the Chairman of PUA Board of Trustees, Eng. Alaa Ragab, the Vice- Chairman of PUA Board of Trustees and Prof. Mahmoud Mohy El-Din, the President of Pharos University. 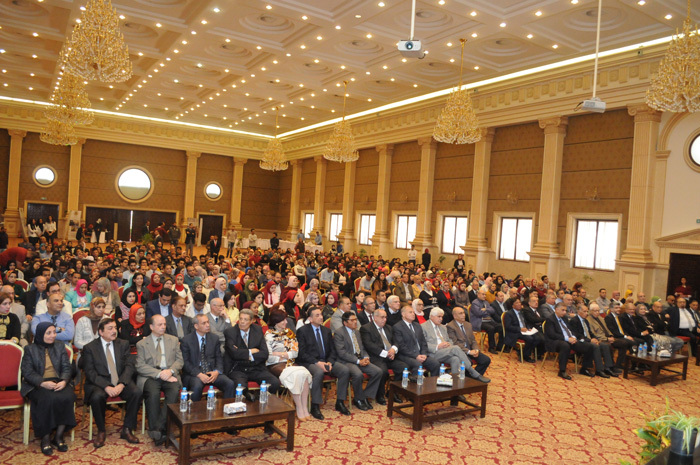 In addition, the deans, the faculty members and a large number of students from both Pharos University and Alexandria University were keen to attend the lecture as well. The lecture was under the supervision of Prof. Ramadan Abu El-Ala, the Vice President of Community Service & Environment Development Affairs.